Welcome to the most comprehensive Pittsburgh Steelers Game Day Preview on the internet! 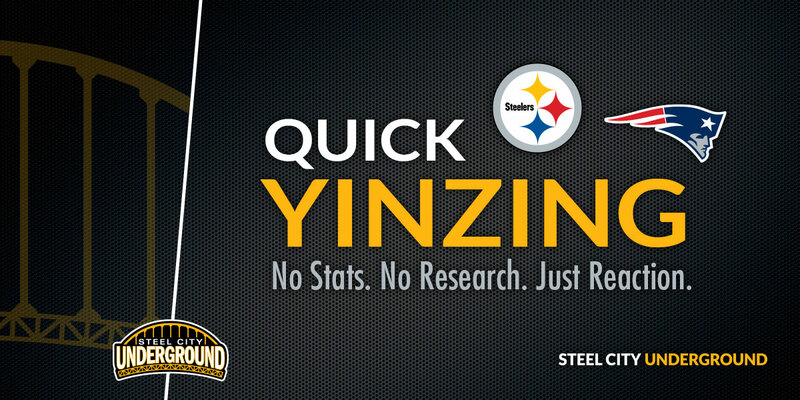 This is your one-stop shop for everything you need to know about the Steelers and their upcoming opponent! Mike Drakulich of Pittsburgh SportsNation brings you inside the huddle for both teams, providing all fans with a Game Preview, the Steeler's Keys to Victory, Score Prediction, a detailed breakdown of each team, Fantasy Football Impact, Game Information, Individual Stats, Team Stats, and the latest Injury Report. Heck, you even get the weather at kickoff. The only thing you’re missing is a game uniform! On paper, if one were looking at the Pittsburgh Steelers roster, an educated sports fan would see a team that was capable of great things. On offense, they're lead by a future Hall of Fame quarterback in Ben Roethlisberger. A future Hall of Fame receiver in Antonio Brown. Second-year WR Juju Smith-Schuster is following in Brown's footsteps. Most agree that the offensive line is among the best in the NFL. James Conner has elevated his game in the absence of Le'Veon Bell sitting out the entire season. Jesse James and Vance McDonald have been money as tight ends in the passing game. Defensively, they aren't exactly the '76 Steelers, but there is more than enough talent spread around to get the job done, especially with the type of offense they possess. Yet, with three games remaining in the regular season, here the Steelers sit, with a mediocre 7-5-1 record, having dropped three straight games, each loss in the streak surpassing the other in absurdity. This has been a week of soul searching for a team expected to compete for the Super Bowl. 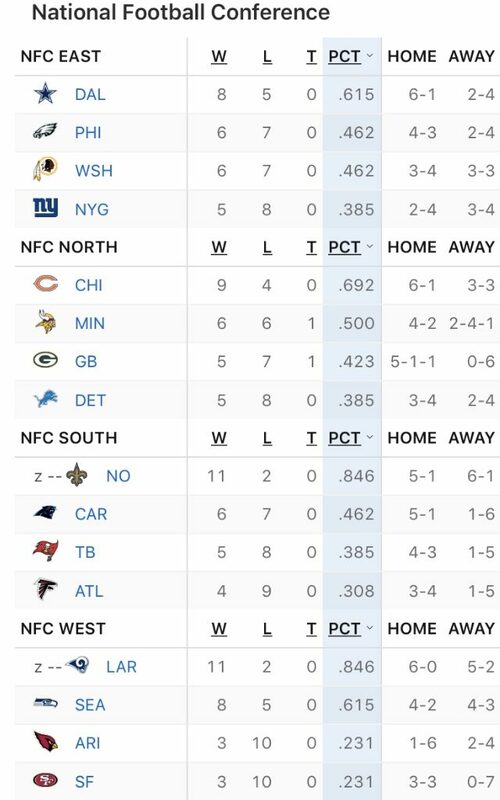 Now they are hanging onto the AFC North lead by the slimmest of margins, with the toughest portion of their schedule yet to be played... back to back games against the New England Patriots and New Orleans Saints, who have a combined record of 20-6. On Wednesday, head coach Mike Tomlin had a "come to Jesus" with the team. “I think it’s exactly kind of what we needed to hear in the moment,” tight end Vance McDonald said of Tomlin’s message during the team meeting. It's now or never for the Steelers. “Coach Tomlin did a great job of not only identifying where we’re at but just kind of grabbing the bull by its horns and just saying, ‘You know guys, this is the expectation, and the expectation is to stare adversity right in the face,’” said McDonald. It won't be easy, as it never is against the Patriots, who own a four-game winning streak over Pittsburgh in the regular season, and an 11-3 record overall vs them in the past 14 games. “Our professional careers are defined by moments kind of like this,” McDonald continued. “Even individually, all through college, how we got here, so it’s no different whenever you look at it from a team perspective. Despite the losing streak, a win here would put Pittsburgh back in play for a first-round bye in the AFC Playoffs, not to mention shut the naysayers up about their history vs the Patriots. “He’s never lost sight of who he knows we can be, the potential of the talent and the experience and the amount of veterans we have on this team and what we can accomplish with them,” McDonald said. “It was absolutely not meant to be inspiring but more or less just realize, realize who we are and what we’re capable of doing and do it. One player that, who like his team, is looking for redemption, is cornerback Artie Burns, who may get back into the starting line-up after being benched since Oct. 14 at Cincinnati. Defensive coordinator Keith Butler was hopeful, that if Burns does start, he'll take advantage of the door being opened for him. “If it was me, in my experience, I would be on edge trying to play my best football game,” Butler said. “I think anybody that’s been in that situation and has gotten a chance to come back and play, you’re always going to try to be in your very best mind frame and try to put your best effort, and I think he’ll do that. The Steelers are sick of losing to the Patriots. Who could blame them? There is one player who has been on both teams, and this is a game that former Patriot Stevan Ridley, who has been chomping on the bit to make his former team pay for letting him go the way they did. “You can bet I am fired up about it,” Ridley said of facing New England. Ridley's anger stems from the Patriots cutting ties not long after he tore an ACL in 2014. Ridley rushed for 2,817 yards in 52 games after being a 3rd Rd pick of the Patriots in 2011. He ran for a career-high 1,263 yards in 2012. James Conner is questionable to play this Sunday, so it looks as if Ridley will see the field a few times and be given a shot to show his former mates what they are missing. (Saturday Update: Conner has been downgraded and is likely to miss the game). “We definitely have some packages for him this week,” offensive coordinator Randy Fichtner said. Run the ball! The Patriots are woeful in rush defense. Own the middle! If Belichick wants to take away Antonio Brown, utilize both Vance McDonald and Jesse James as weapons. Red Zone opportunities must result in 6, not 3, points. Get in Tom Brady's head. Hit him and hit him hard. Take an early penalty, but let him know pain is coming. DO NOT PLAY A ZONE. Be aggressive. Knock their receivers off their routes. Be physical with every player who touches the ball. Take away Rob Gronkowski. If Jon Bostic is seen covering him at any time, feel free to drink heavily. Drape Sean Davis and/or Terrell Edmunds on Gronk. How does a team that was riding high on a six-game winning streak suddenly drop three in a row, each loss more maddening than the previous one? Is it bad officiating? Bad luck? Does someone have a voodoo doll of the Steelers and is abusing it? How the hell does a team with this much talent find itself facing the ire of both their fans and sports experts? A look in the mirror would suffice for one member of the Steelers. It's become tiresome saying week after week that "it's do or die" for the Steelers. 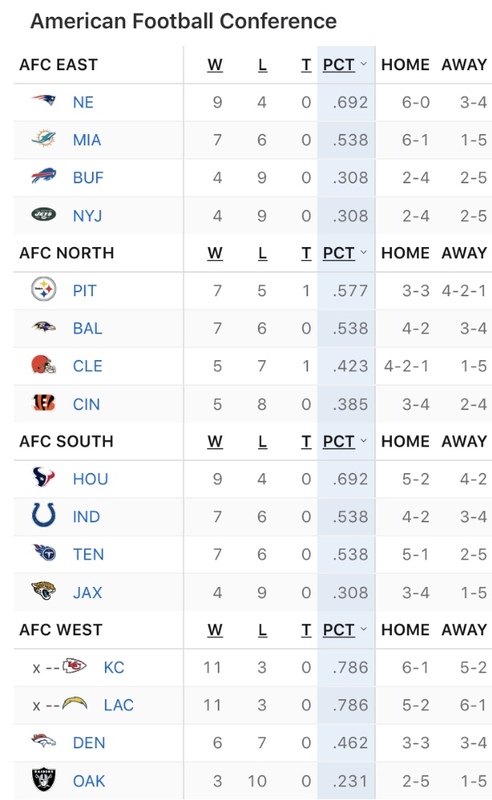 Here we are again, thanks to losses by both Houston and New England last week, with the Steelers having the door open for a shot at securing a 1st Round bye in the AFC Playoffs. It won't be easy to achieve, but when you essentially blow three straight games in a row, you've got to sit in the bed that you've made for yourself. Now there is no wiggle room. The goal is what it is... and that is to win the final three games of the regular season, starting with their biggest nemesis in New England, a team that has tortured them for over two decades. The recipe to beat Tom Brady and the Patriots isn't rocket science. First, Ben Roethlisberger and the offense needs to play up to their capabilities. That means scoring over 30 points. Second, the defensive game-plan had better be playing aggressive and not showing a semblance of a zone for Brady to sit back and pick apart. You would think that the Steelers would scrap that idea that hasn't worked the past 17 years vs Brady. Pittsburgh needs to play Steelers Football. And that is playing a physical game, with swagger, and a determination to overcome any odds against them. This is Heinz Field. This home. Never should this team be underdogs on their own field. Not in this town. Roethlisberger has seen his team go 3-9 vs them since he was drafted in 2004. Roethlisberger knows full well what this team can do when they are at the top of their game. Just about everyone outside of Steelers Headquarters in South Side is picking the Patriots in this game. They cite past history and, of course, the current woes of the team. That said, this writer says the Steelers are due. This writer says this team has too much pride not to find the answers and correct the mistakes that have destroyed them during this downturn. These were all games that Pittsburgh had in hand, but found ways to lose. Weather at Kickoff: 42 and partly cloudy. Winds N 5 mph. Streak: Patriots won previous four meetings. Steelers TE Rob Gronkowski played at Woodland Hills (Churchill, Pa.) High School in 2006. Ben Roethlisberger needs 273 passing yards to reach the 4,500-passing yard milestone in 2018 and for the second season in his NFL career. Roethlisberger is five touchdown passes from surpassing his team record for the most scoring tosses in a single-season established in 2007 and 2014 (32). James Conner is 91 rushing yards from 1,000 in 2018. Antonio Brown needs four touchdown catches to reach 75 in his NFL career and with the Steelers. JuJu Smith-Schuster is two touchdown receptions shy of 15 in his NFL career. Ben Roethlisberger's big arm, along with his uncanny ability to slip out of the pocket and extend plays makes him one of the league's best. Le'Veon Bell who? James Conner has shown he is more than capable of shouldering a starters share of carries. He has slimmed down and has added speed and quickness to an already powerful running style. Conner has become a dual threat and is one of the best RB's in the NFL. (Note: As of Saturday, Conner was downgraded and is likely to miss the game on Sunday). Jaylen Samuels is an H-Back type of player that can line up all over the field. He is especially dangerous catching passes out of the backfield. Steven Ridley is a capable runner that can be counted upon on an as-needed basis. Jesse James is reliable as ever. Vance McDonald is making a big impact in his 2nd year as a Steeler, often delivering punishing hits while being tackled. Xavier Grimble provides a big target for Roethlisberger in the Red Zone. The linebacker unit goes Bud Dupree and T.J. Watt on the outside, with Vince Williams and Jon Bostic in the middle. Anthony Chickillo and Olasunkanmi Adeniyi back-up Dupree and Watt, while L.J. Fort and Tyler Matakevich are reserves in the middle. In the secondary, Coty Sensabaugh and Joe Haden are the starters at cornerback. 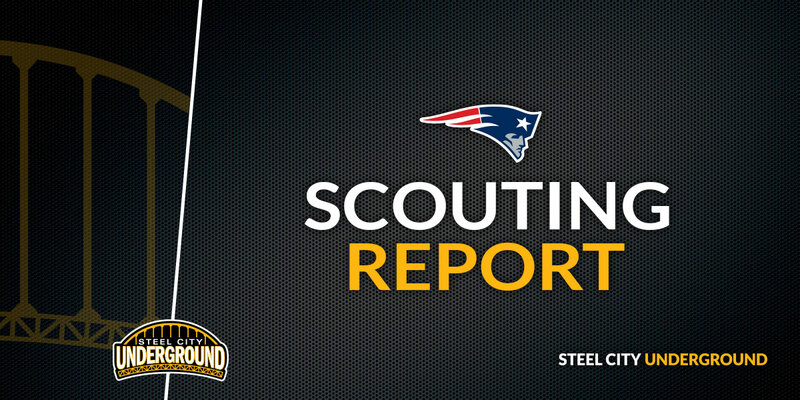 Backing them up will be Artie Burns, Mike Hilton, and Cameron Sutton. Rookie Terrell Edmunds starts at strong safety, with Morgan Burnett and Jordan Dangerfield backing him up and seeing plenty of action in nickel and dime formations. Sean Davis is the starter yet again at free safety, with Brian Allen and Marcus Allen as reserves. Tom Brady continues to defy age. He hasn't put up the crazy numbers he has in the past, but is still as dangerous as ever, passing for 3,700 yards with 23 touchdown passes and only eight INT's. Sony Michel leads New England with 706 yards rushing, but it is James White who is even more of a weapon, rushing for 342 yards, but adding 76 receptions for 674 yards and six scores. Josh Gordon leads the team with 701 yards receiving, while Julien Edelman is the leader with 56 receptions and four touchdowns. Chris Hogan and Phillip Dorsett have been nonexistent the past two games. Cordarrelle Patterson has had his ups and downs. Rob Gronkowski is having a down year by his standards but will be the focus for whom the Steelers to stop. He has 43 catches for 637 yards and four TD's. They give up more yards than the Steelers do, but less points. Not too adept at getting the QB, as they only have 24 sacks on the year. They do have 14 interceptions, though. The Man behind Pittsburgh SportsNation. Where others shun debate, I embrace it. Be warned… No Safe Spaces here.